Summer Holidays! Non-stop flights from Vienna to Ürümqi, China €465! Oman Air flights from Milan to Kathmandu, Nepal from €447 roundtrip! Want to explore completely different part of China in peak season you have awesome opportunity thanks to China Southern Airlines! This SkyTeam carrier is now offering Summer Holidays non-stop flights from Vienna to Ürümqi already for €465! This is including all taxes, onboard meals and checked luggage. You can also use this deal as an alternative entry gate if you want to visit Mongolia in high season as the flights are usually extremly expensive at that time of a year.. If interested in this discount deal with China Southern you will find the cheapest flights when departing from Vienna to Ürümqi from 18th of June to 28th of September 2019. Min stay 6 days. Max stay 3 months. No free stopover available. Including 23kg bag in hold. Fare class is “N or T“. promo sale is running till 24th of April or until sold out..
We recommend you firstly compare the cheapest flights via Google Flights (Guide). You can then book this deal directly with China Southern Airlines or your preferred booking agent. If interested in this offer you can refer to our booking samples below. You can book your accommodation in Ürümqi, China via Booking.com. Also you can further discount your hotel when using one of following promo codes. 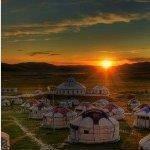 Booking sample of Summer Holidays cheap non-stop flights from Vienna to Ürümqi, China from €465! In this case you would depart from Austria to this Chinese city on Saturday, 20th of July. Return from Urumqi back to Vienna on 6th of August 2019. This is a direct service on board of SkyTeam carrier China Southern Airlines. Consider the availability over summer holidays this is extremly hot deal!